The best thing about the world of Star Wars (other than it being the world of Star Wars) is how incredibly detailed it is. Everything you see on screen has a backstory, everything basically has an explanation, anything can be nerded out on. 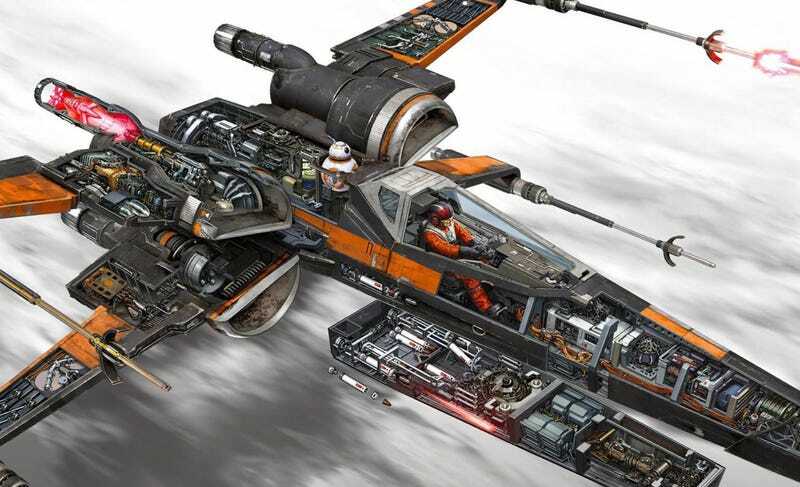 So here are the backstories and explanations for the vehicles and spaceships used in Star Wars: The Force Awakens. It’s all told in beautiful cross-section art and available for purchase so you can see it closer in book form here. The book is by Jason Fry and it’s beautifully illustrated by Kemp Remillard. You can see some of the truly gorgeous illustrations below (and be sure to read a bit about the backstory too).